The trendy shared-office outfit is the latest firm with heady prospects and huge cash burn to tap credit markets. 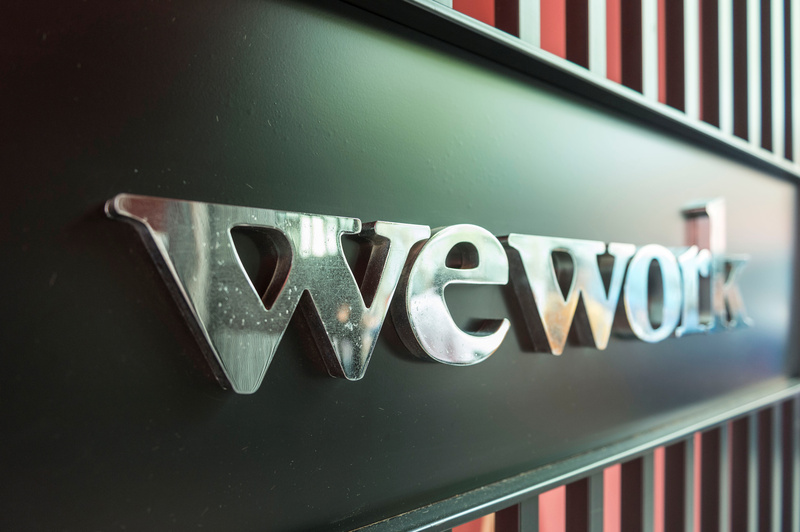 Like Uber, Tesla and Netflix, WeWork needs funds for expansion to justify its valuation. Yet the healthy cash flow creditors prefer may only come with slower growth. A logo of U.S. co-working firm WeWork is pictured during a signing ceremony in Shanghai, China April 12, 2018. Picture taken April 12, 2018. Office-space provider WeWork increased the size of its debut junk bond offering on April 25, a deal that will help the cash-burning start-up to fund faster growth. The company raised the size of the seven-year deal to $702 million from $500 million, IFR reported, and priced it a day earlier than planned. The privately-owned company, now backed by Japan's SoftBank, was valued at roughly $20 billion at its latest funding round. But some analysts were skeptical, according to IFR, saying the 7.875 percent yield on the bond was not enough to compensate for substantial risks including the company's cash burn. The deal means WeWork will have around $3 billion of cash on its books, in addition to over $1 billion on an untapped revolving credit line. In a rare move, Moody's sent out an unsolicited notice and assigned the bond a rating of Caa1, lower than respective ratings of B-plus and BB-minus given by S&P and Fitch.